When clothes becomes stinky, hopelessly wrinkled or shapeless (think baggy knees and elbows), we often end up tossing them in the wash or taking them to the dry cleaners, despite the fact that they're usually still clean. What if you could make those garments wearable in just 10 minutes? That's the promise of the Swash system from P&G and Whirlpool. The Swash does three things: It removes odors, restores the shape of fabric and removes wrinkles. When you hang your garments in the Swash — it can handle two at a time — you attach weighted clips so that the garments hang flat. The machine sprays a scented solution onto the garments and then dries them. P&G claims the solution removes minerals found in tap water that can cause color loss and yellowing and break down elastic. The treatment doesn't just mask body odor; it neutralizes it by adjusting the pH balance. The Swash doesn't require a water hookup or high-voltage outlet, so you can put it in any room in the house. It uses pods, so there are no bottles of solution to spill. The only necessary maintenance is emptying the machine's run-off container about once a month. The Swash is also good for garments with embellishments. Crystals and beads can get crushed at the dry cleaners, and often garments with embellishments cost extra to clean. What can't you put in the Swash? Since it sprays a solution onto the garments, don't Swash anything that spots when it gets wet, including leather, some silks and some velvets. All of this convenience comes at a price. 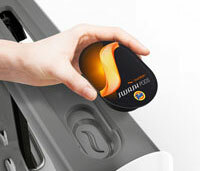 The Swash costs $499, with each pack of 12 pods costing $6.99 ($0.58 per cycle). By comparison, dry cleaning (for items other than men's shirts) usually starts at $3 to $5 per item. The time it takes to recoup an investment in the Swash depends on how often you typically use a dry cleaner. 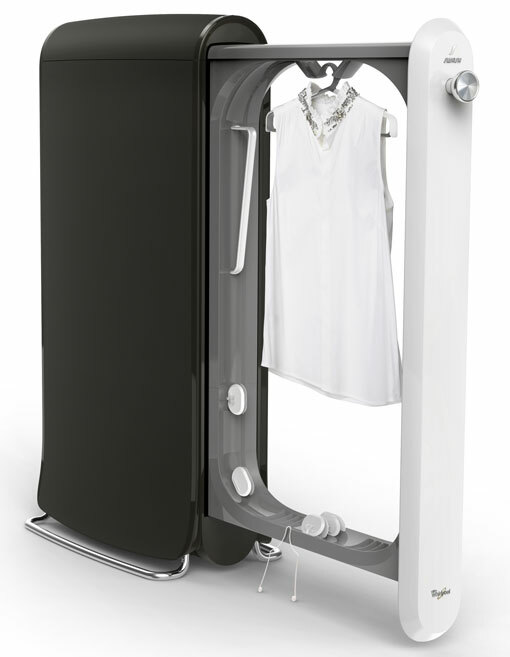 The Swash comes in an off white (linen) and dark gray (shadow) and is available for pre-order on Bloomingdales.com or in Bloomingdales, with delivery slated to begin Aug. 1, 2014.2014. Wow! I would love to have this. I really am considering it. We do spend a lot at the dry cleaners. Why do cleaning systems assume you want your clothing scented? I would never consider purchasing something like this unless and until they come out with an unscented product! I agree, if it isn’t unscented, I’m not buying it. It sounds useful. Even more if there is a travel version as this can save on hotel laundry charges among other conveniences.